Let’s start with the answer to the wine quiz #118 – What Is It? In that quiz, you were given a picture of the bird (an owl), and the request was to identify the connection between the bird and the wine world. I have to say that a number of people had very good answers, suggesting that owls are used to protect vineyards against various kinds of rodents, obviously in a natural way. However, this was not the answer I was looking for. 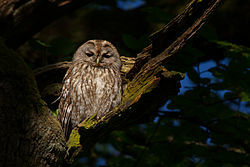 The particular type of owl is called Tawny Owl, and it is the color of its feathers that gave the name to the Tawny Port. As the Tawny Port ages, the color of the wine becomes reminiscent of the Tawny Owl coloring, hence the name. I’m glad to report that we have two winners: Margot from Gather and Graze and Gwain609 of Oz’s Travels – they both identified the owl as a Tawny Owl and suggested that “Tawny” is the key word we are looking for here. They both get the usual price of unlimited bragging rights. Well done! First of all, I want to remind everyone that Monthly Wine Writing Challenge number 17 (#MWWC17) with the theme “Epiphany” is in the full swing! There had been a number of entries submitted, and everyone who didn’t submit one yet (you know who you are!) is very much encouraged to participate. For all the official rules and regulations please use this link. Next, we got a few of the grape and wine region holidays to celebrate – I’m sure you don’t need a reason to open a bottle of wine, but those holidays solve the problem of choice. Today, I got 3 of them for you. Tomorrow, May 21st, is a Chardonnay Day! Chardonnay needs no introduction – the grape is successfully grown all over the world, a hallmark of Burgundy, Champagne, California and practically any other wine growing country and the region. You should have no problems finding the good bottle to open, and then sharing your thoughts in the social media using the hash tag #ChardonnayDay. Next we have two distinct regions celebrating its heritage in May – May is an Oregon Wine Month and also an Aussie Wine Month! Oregon today is a lot more than just a Pinot Noir, and Australia is a lot more than just a Shiraz – lots of wonderful wines are made in both places, so you will have no issues finding excellent authentic wines to drink for the next 10 days. Last but not least for today – the new danger for your wallet had just became a reality. Well, no, I’m not talking about some elaborate wine scam or a new series of emails with unbeatable business proposals from Africa. Last Bottle Wines, one of my favorite purveyors of the fine wines at the value prices, finally joined the 21st century and announced availability of the Last Bottle App for the iPhone – here are the details. Now you can be notified of all the new offerings and will have a better chance to react to them. If you are still not a customer of Last Bottle Wines, I will be glad to be your reference – yes, I will get a $20 credit after your first purchase, and you will get $5 credit on that same purchase – but then you will be able to sign up your friends. And, of course, to thank me again and again. You can click here to sign up for the Last Bottle Wines account. Happy New Year 2015! I wish you all Happy, Healthy and Peaceful year! I think if we can have just these three elements (our own and ours happiness, our own and ours health and peace in this fragile world), everything else will just fall in place. While I’m a bit tempted to analyze the past year and to talk about the plans for the this year, I will not go there. 2014 was a very good year with lots of great experiences, and I can only wish for 2015 to be at least as good as the previous year. But what I actually plan to do over the next few weeks is to create a number of posts which will be still talking about the events of 2014 – the events which still hold personal relevance and cause a burning feeling of incompleteness as they were thought through probably a thousand times. So yes, this is something which you should expect. 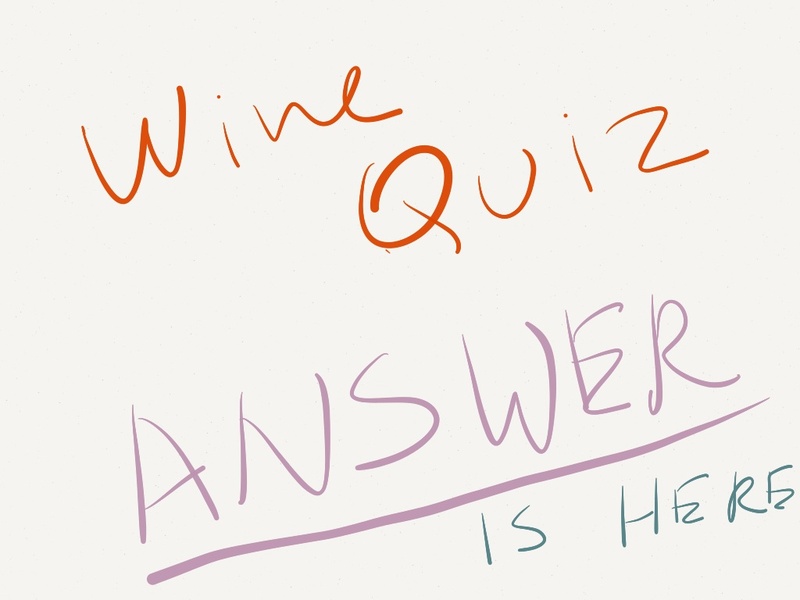 When it comes to the answers, a number of people were able to properly name one of the wines. I would like to acknowledge Zak (no web site) who properly named 3 wines out of 5. And I saw a number of comments promising to pay more attention to the bottle foils, which I’m glad to hear. There will be more of the quizzes like this, but I need to come across some new wines first. 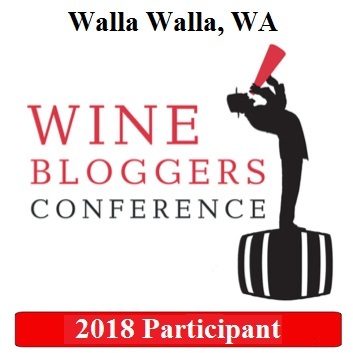 Next up I want to bring to your attention that Monthly Wine Writing Challenge #14 ( dubbed #MWWC14) is in the full swing with the theme “Tradition“, as announced by the winner of the last round Bill of Duff’s Wines. You can find all the rules and regulations in this post, but the most important date you need to know is the submission deadline date, which will be Monday, January 26th. Get out of the holiday food coma and get your creative juices flowing! The last note for today. For those of us who writes the blogs, we want our content to be found. At the same time, there is lots of content created everyday, so to be found, the content have to stand out. I recently came across an interesting article called How To Make User-Friendly (And Search-Engine Friendly) Scannable Content which I want to share with you, as it offers some of the good advice to all the writers. I also added this link to my Best Blogging Tips page so it will be easy to find in the future. And that’s all I have for today. Enjoy your first weekend of 2015 and cheers! Let’s start with the answer to the wine quiz #116: Harvest Time. This quiz was dedicated to harvests and vintages, and as usual, contained 5 different questions. A1: 1947. The years above represent some of the best vintages in Bordeaux. A2: All of the wines above are made only in the best years – they are not produced every year no matter what. A3: Quinta do Noval Vintage Nacional Port. This Port in not only vintage, but it is also produced only in the exceptional years, without any regards to the Vintage declaration by IVDP. This port was produced only 3 times over the last 14 years. A4: Rioja. 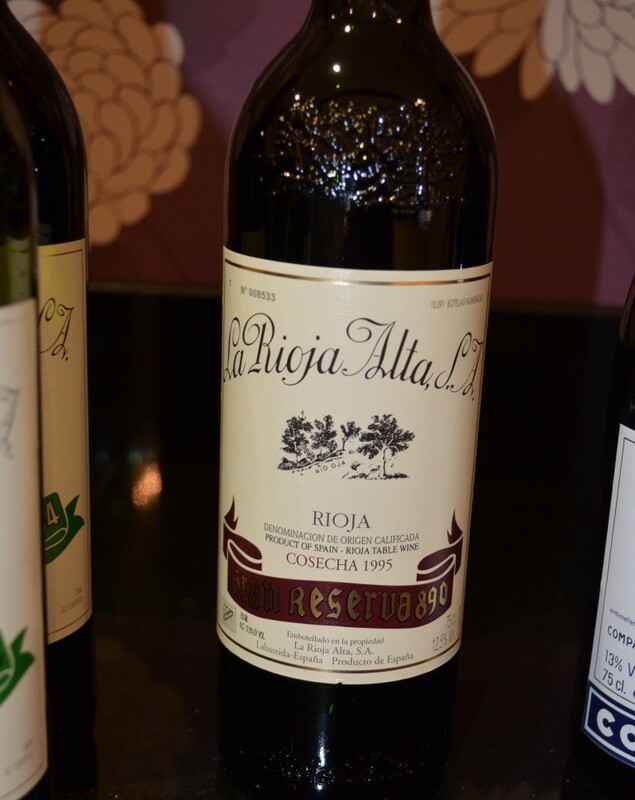 The telltale sign here are the 2001 and 2004 vintages, which were generally not the amazing years in most of the other regions, but exceptional in Rioja. A5: Seppeltsfield Seppelt Para 100 Year Old Tawny Port. When it comes to the results, once again, the participation was rather low. But – this was a difficult quiz, so I think 4 correct answers out of 5 is a very good performance, thus we have a winner –oenophilogical, who gets the prize of unlimited bragging rights. Well done! WTSO is on it again – the Cheapskate Marathon. Tuesday, October 14th, starting at 6 AM Eastern in the morning until midnight, the rules are usual – one wine at a time, offered for 15 minutes or until sold out, prices are from $7.99 to $18.99, 4 bottles minimum to get free shipping, no notifications of any sort except twitter. Yes, you know the drill. Happy hunting! Do you ever buy wines at Coscto? Actually Coscto is the biggest alcohol retailer in US, with the 2013 sales totaling $3.1B, about 50% of which are wine sales. I thought you might be interested to read this interview with Annette Alvarez-Peters, an assistant GM for mechanizing, to learn what sells, what doesn’t sell at Costco, and what the future holds. Next up – one of my favorite subjects for W’M – wine in numbers. Wine Market Council, a non-profit association, released the research about wine drinkers in the US, just in time for holidays. According to the research, out of the 230 million of adults in US (drinking age adults it is), 35% don’t drink any alcohol at all (if you ask me, I think at least 10% is lying, but never mind that statement). Another 21% drink alcohol, but not wine (pour souls), and only 44% drink wine. Those 44% are divided into two groups – 15% drink wine more than once a week (yay! ), and 29% drink wine occasionally. There are more numbers in the research, of course, but I will leave it up to you to explore. Last one for today is about nanotechnologies. Okay, fine. Wine and nanotechnologies. As reported by Dr. Vino, scientists in Denmark are working on the electronic tongue, which will take the difficult task of analyzing wine upon itself, and you will be left with the like/don’t like results, and of course, the rating which will make Robert Parker green with envy. Anyway, I will let you be the judge of it. 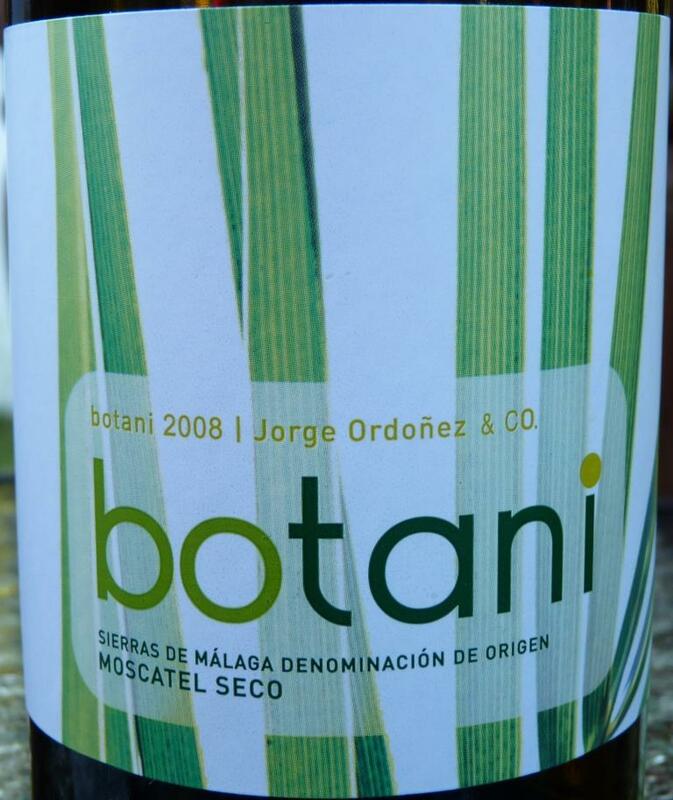 Let’s start with the answer to the wine quiz #115: Grape Trivia – Muscat. In the quiz, you were supposed to answer 5 questions about one of the oldest cultivated grapes – Muscat. A1: Donnafugata produces dessert wine called Ben Ryé, made out of Zibibbo grapes, which is the local name for Muscat of Alexandria. Ben Ryé typically gets awarded highest ratings by various Italian publications, year in and year out. A3: Banyuls – while Banyuls is known for its dessert wines, same as the three other AOCs, Grenahce Noir is the main grape used in Banyuls, not the Muscat which dominates the others. A4: It might come as a surprise, but this country is the Australia – 9 out of 10 Muscat wines with topmost ratings are from Australia, including a 100 points Campbells Muscat Rutherglen Merchant Prince Rare NV. A5: This was a bit of a tricky question – actually 2 grapes don’t belong – Muscadelle, which has nothing to do with Muscat, and Morio Muskat, which is a blend of Sylvaner and Pinot Blanc. When it comes to the results, we had no winners, unfortunately, but I’m glad to see Oliver the winegetter back in the game. There is always the next time! Let’s start with … Merlot! Merlot is back, and to make sure everyone will notice, October is designated as the Merlot month! If you think about it, Merlot never left, and Chateau Petrus didn’t switch all of a sudden to the Cabernet Sauvignon as a main grape. Still, Merlot wines are now demanded by name, so it is definitely a reason to celebrate. Drink it, talk about it, write about it – just don’t be indifferent about it. Here is the web site which will help to plan your Merlot festivities. Harvest is under way in many parts of the Northern Hemisphere, so here are few of the updates. Long stretch of a warm weather in September greatly helped vintners in Burgundy and Bordeaux. The summer was cold and rainy in both regions, and the hailstorms didn’t help either. However, warm and steady September weather greatly improved the overall outlook; while the 2014 vintage is not expected to exceptional, both Bordeaux and Burgundy expecting good results. White Burgundy look especially promising in many appellations, including Chablis. Here are the links with more details – Burgundy and Bordeaux. California weather was quite opposite compare to France – very hot and dry summer forced an early harvest start in the Northern California, with some estates picking up grapes as early as July 29th – one of the earliest starts in a decade. Here is the link with more information about California harvest. When I’m looking for the good restaurant, especially in the unfamiliar area, my first choice of information source is usually one and the same – Yelp. I generally can’t complain, and for majority of the cases I’m quite happy with Yelp recommendations – I’m sure it saved me from the number of a bad experiences. This is why it is even more upsetting to read about the issues businesses face with Yelp forcing them to take advertizing deals or be punished by artificial manipulation of ratings. Unfortunately, this is what happens when shareholder value becomes the purpose of business existence and trumpets the relationship with the real customers (which eventually drives company out of business). Case in point – the restaurant called Botto Bistro in San Francisco, which refused to badge with Yelp’s demand for advertizement placement, and instead started fighting back with Yelp by undermining the core of the Yelp’s existence – the rating system. The restaurant requested all of their patrons to leave negative one-start reviews, which people did. Take a look at the this article which lists a lot of examples of such a one- star “negative” – or rather super-funny – reviews. Yelp have to get its business integrity together, or it will disappear. If you are actually a writer, how often do your read your writing, edit it, then read again and edit again? You don’t need to answer this question, but the number of the read/edit cycles is better be substantial if you want to end up with the quality outcome. Here is an interesting article by Jo Diaz, where he talks about the importance of the editor and the editing process. It is clear that most of us are not going to hire an editor for our “labor of love” blog posts – however, the editing still remains an essential part of the “writing well” process, and you really should find the way to implement it. Let’s start with the answer to the wine quiz #114Grape Trivia – Viura / Macabeo. In this quiz, you were supposed to answer 5 questions about white grape called Viura in Rioja region of Spain, known as Macabeo through the rest of Spain and in Roussillon in France. A1: Trebbiano. The rest of the grapes are growing in Rioja and allowed to be blended with Viura in white Rioja wines. A2: True. According to 2010 data, there were 102,615 acres of Macabeo planted worldwide, which gives it a number 8 spot among the white grapes. A4: Parellada. All of the white grapes above are allowed to be used in production of the Cava. 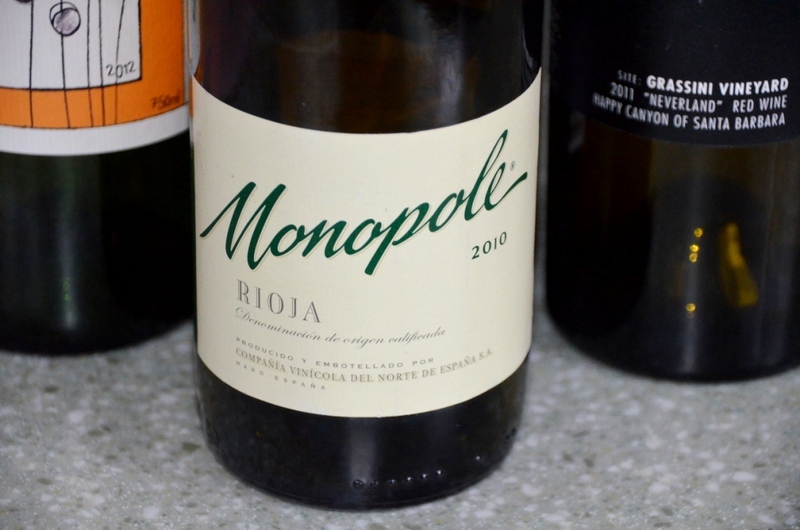 A5: White Rioja from Spain; a wine from Roussilon in France (can be both red and white). When it comes to the results, we have a winner! 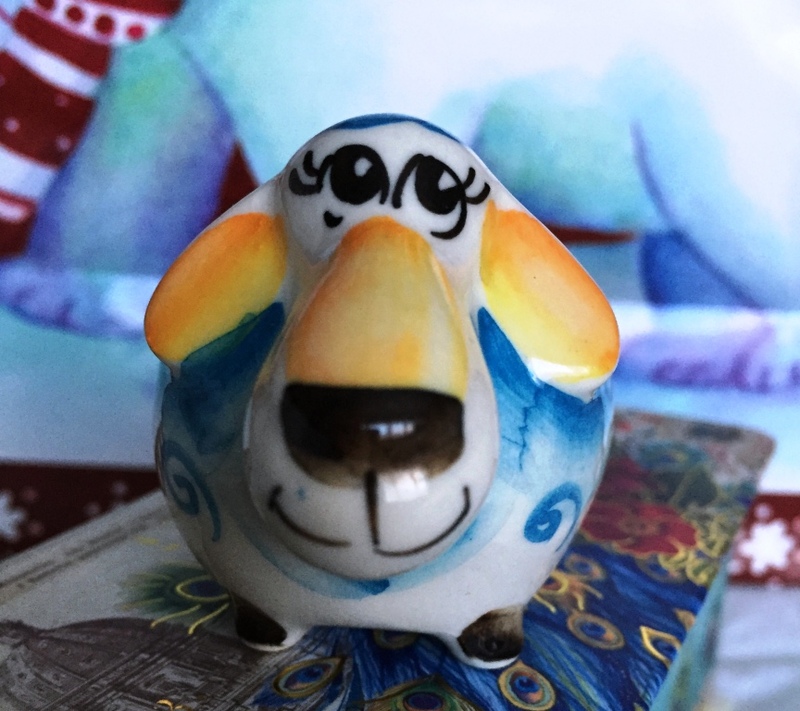 apuginthekitchen answered all 5 questions correctly, so she gets to coveted prize of unlimited bragging rights! Well done! Let’s talk about some useful gadgets and uneasy thoughts. When you are about to step out of the restaurant or the friends house, and before you get into your car, do you ever get that tough question, a whim of the uneasy thought on your mind – “did I drink too much”, or in the semi-scientific terms, “what is my blood alcohol level”? Of course you can rely on the common sense and watch the amount you drink (and you should), or have a designated driver (but still control that amount). But we live in the era of technology, don’t we? Yes we do. And if you happened to have an Android phone or tablet, you will be able to take the guesswork out that “BAC level” estimate, and use a little device called DrinkMate. Plug it into your phone, breathe into it- and an application will tell you exactly what your BAC is. The device is finishing up the Kickstarter campaign (they have already twice exceeded the goal), so jump in if you want one – here is the link with the information. Next up is one of my very favorite subjects – numbers, and more numbers. Based on the article in Wines and Vines, it appears that the number of the wineries in US exceeded 8,000 – it stands at 8,049 as of September 1, 2014. The biggest growth is happening in Oregon, where the number of wineries increased by 10% in the last year. Still, Oregon is trailing Sonoma County, which has 782 wineries, with total number of wineries in California standing short of half of the total US amount at 3,798. I suggest you will head over to the original article for many more interesting numbers. In the last week’s meritage I mentioned the Wine Video contest run by the Wine Spectator magazine. The contest concluded, and the winner was the video about Norton, the most American grape. Here is the link to the final contest information. The last one for today is an interesting article from the new professional wine blog called SWIG. 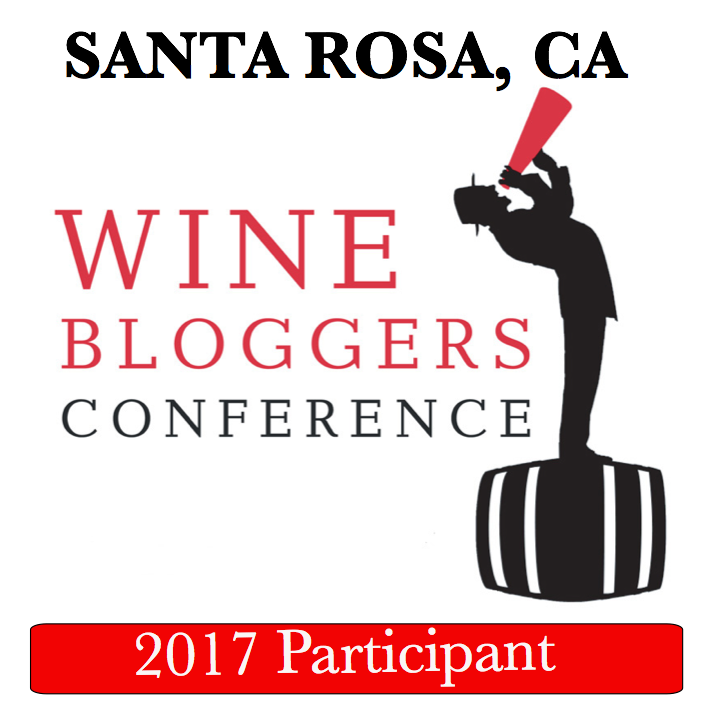 When I started reading the wine blogs years ago, I found it very surprising that many blog posts are written in rather an antagonistic fashion, and critical notes and comments are often flying in multiple directions. This post at SWIG, called “How To Respond to Attacks And Criticism in the Wine Industry”, is a very useful guide to the best course of action if you are the subject of such an attack. The idea can be well extended outside of the wine industry specifically, so it makes a good general reading on the subject.